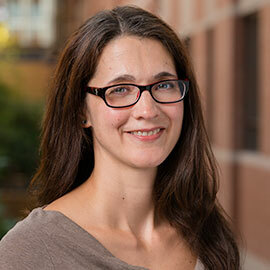 WATERLOO – Canada’s federal minister of science has appointed Laurier Psychology Professor Anne Wilson to a panel of distinguished experts who have been asked to review federal science funding structures to ensure that these programs are meeting the current needs of the country. “This review will help ensure that federal support for research is strategic and effective and that it delivers maximum benefits to the research community and the Canadians whose lives are enriched by its discoveries,” the government said in a statement. David Naylor, former president of the University of Toronto and chair of the panel. Robert Birgeneau, former chancellor, University of California, Berkeley. Martha Crago, vice-president, research, Dalhousie University. Mike Lazaridis, co-founder of Waterloo-based Quantum Valley Investments and founder of the Lazaridis Institute for the Management of Technology Enterprises, based at Wilfrid Laurier University. Claudia Malacrida, associate vice-president, research, University of Lethbridge. Art McDonald, Nobel Laureate and former director of the Sudbury Neutrino Laboratory. Martha Piper, interim president, University of British Columbia. Rémi Quirion, chief scientist, Quebec. According to the federal government, the advisory panel will spend the next six months seeking input from the research community and Canadians on how to optimize support for fundamental science in Canada. The panel will also survey international best practices for funding science and examine whether emerging researchers face barriers that prevent them from achieving career goals. It will look at what must be done to address these barriers and what more can be done to encourage Canada’s scientists to take on bold new research challenges. In addition, the panel will invite Canadians to participate in the review through an online consultation. Wilson is a Canada Research Chair in Social Psychology, a Fellow of the Canadian Institute for Advanced Research Successful Societies program, and a member of the College of New Scholars, Artists, and Scientists at the Royal Society of Canada. Her research has been supported by the Social Sciences and Humanities Research Council and the Canadian Foundation for Innovation. "Fundamental science underlies the discoveries and innovation essential to Canada's future,” said Wilson. “Through consultation with Canadians and informed by evidence, this advisory panel will provide recommendations that can assist the government in optimizing Canada's already exceptional research potential. As an active social science researcher, I am honoured to contribute to this panel's important work." For more information about the federal advisory panel, please visit sciencereview.ca.